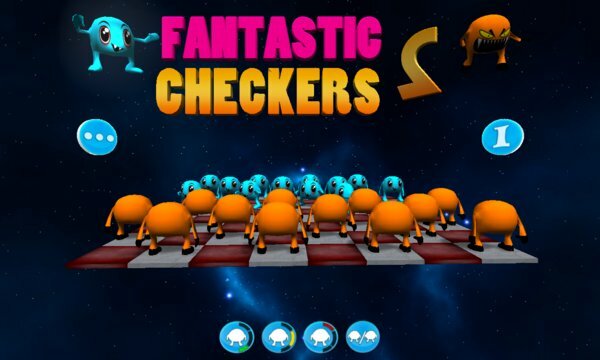 Published by EnsenaSoft S.A. de C.V.
"Fantastic Checkers Free 2" take our super popular checkers game and moves it into outer space on a spinning board with cute little space monsters on each side. 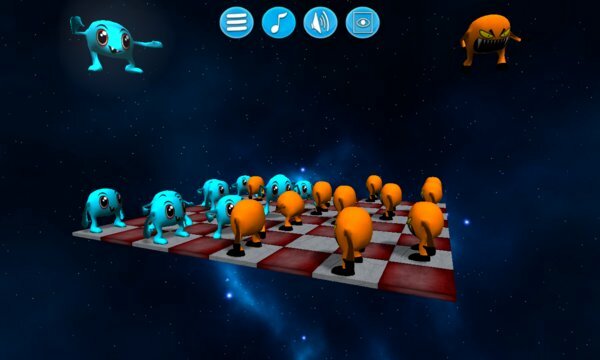 The characters are animated and you can play alone against 3 levels of computer AI or in 2 player mode with a family member or friend. This is a great way to take this traditional board game and bring it to a newer generation in a fun exciting way! During development my own kids really liked the look and wanted to start playing this one well before we had enough of the programming done. •* Win by removing all of your opponents pieces from the board. •* Play against the computer or against another person in 2 player mode. •* Cute little monsters with funny animations are used for the pieces. •* Background music, sound and graphics effects that are out of this world!